The key differences between healthy and unhealthy foods often come down to the amount of fat, sugar and/or calories in each food. Many unhealthy foods often have a healthy alternative. Whether you're looking for main courses, snacks or cooking oils, you can find healthy foods that can be just as delicious and more nutritious than their unhealthy counterparts. Skim milk contains no fat and around 80 calories in 1 cup, while whole milk has around 8 grams fat and 150 calories per cup. The amount of calcium, vitamin A, vitamin D and other nutrients are the same in both types of milk. You should also choose low-fat or non-fat versions of cheese, yogurt, ice cream and other dairy products made from milk. To determine whether meat is healthy or unhealthy, look for the amount of fat each contains. Healthier meat options are those with a lower percentage of fat, such as extra-lean ground beef instead of regular ground beef, low-fat turkey franks instead of regular hot dogs and chicken without the skin instead of with the skin. When it comes to fish, tuna packed in water is healthier and lower in fat than tuna packed in oil. Avoid fried or breaded meats and fish, as they're high in fat. Snacks include some of the unhealthiest foods, so look for healthier versions. Instead of potato chips with onion dip, for example, try crunchy vegetables, like carrots and celery, with low-fat dip. Air-popped popcorn and nuts are healthier snacks than chips and processed foods. 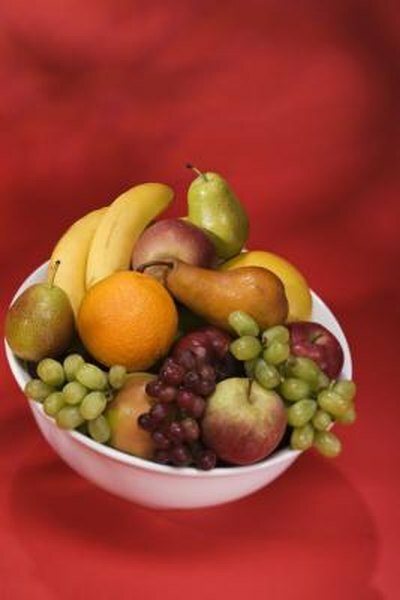 Dried fruit makes a much healthier choice than candy or pre-packaged cookies. With so many cooking oils, the variety can be overwhelming and confusing. The main difference between healthy and unhealthy oils is the percentage of healthy unsaturated fats and unhealthy saturated fats in each oil. For example, coconut oil contains around 91 percent saturated fat, while canola oil has around 7 percent saturated fat. Other unhealthy oils high in saturated fats include butter, lard and palm oil. Oils low saturated fat include sunflower oil and olive oil.